On Thursdays and Fridays, Southern Smoke BBQ opens at 11:30am until hungry patrons “clean ’em out of pork!” Nestled in the small rural town of Garland, North Carolina you might pass through this one stoplight town if it wasn’t for the eye-catching Southern Smoke BBQ sign painted on the side of the restaurant. Founded in 2010, Southern Smoke BBQ began when Matthew Register began smoking pork the old-fashioned way, slow and low over oak wood. Matthew and his wife Jessica both share a love for pulled pork and the outdoors. Matthew definitely found a keeper because Jessica was raised on pulled pork. In fact, the real family tradition dates as far back to Jessica’s great grandfather, Dan Nipper, who owned Dan’s Old Fashioned Barbeque of Sanford, NC. 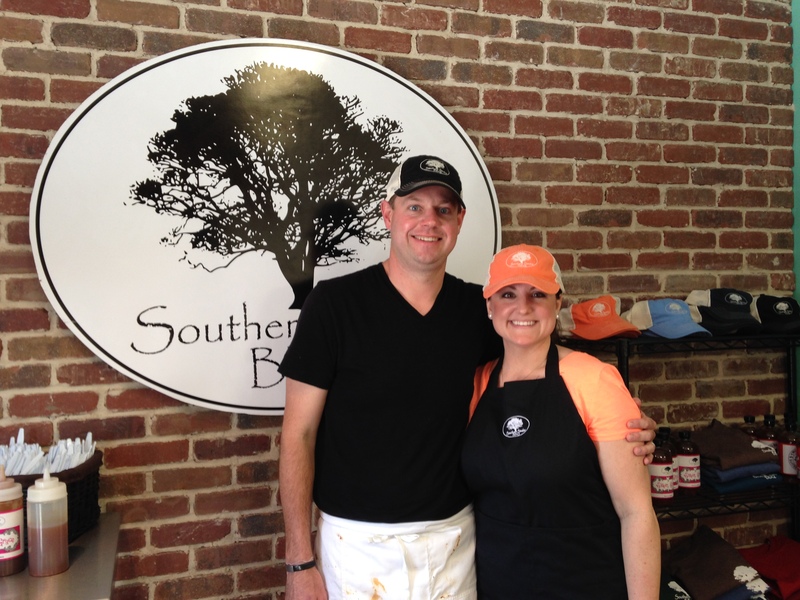 Southern Smoke BBQ transformed into a reality when Matthew created two delicious sauces, Sweet Grace, named after the couple’s daughter, and Two Brothers, named after their sons. The two sauces became so popular and finally dreams of opening a restaurant featuring the signature sauces came to fruition for the happy, pork-lovin’ couple. I attended the grand opening of Southern Smoke BBQ on Friday, April 11 in Garland. The restaurant was packed with a line out the door when I first arrived around 11:30am. Picnic tables are located out front of the restaurant and Matthew plans to expand the outdoor dining area in the large lot located next to the restaurant. 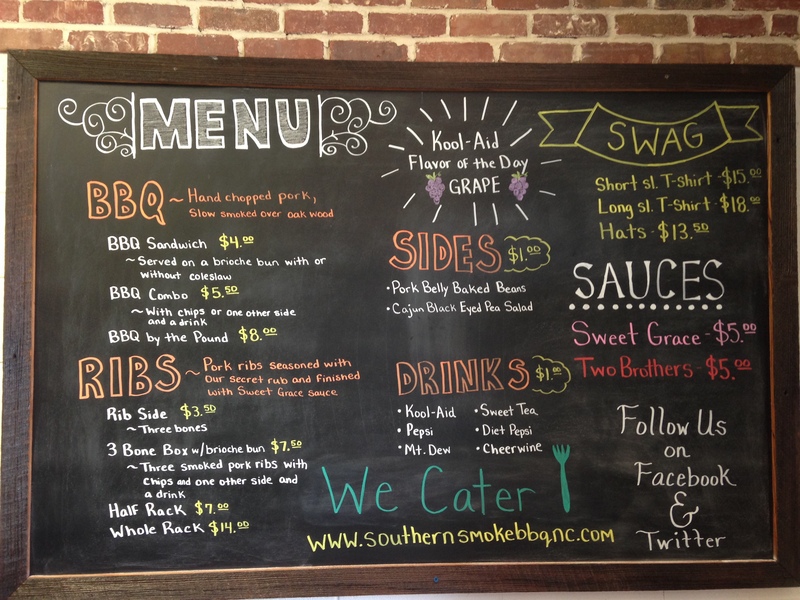 Upon entering the restaurant, there is a large chalkboard with Southern Smoke BBQ’s menu. Don’t be alarmed if menu items are crossed off the list, Southern Smoke BBQ is proving to be quite a hit among locals. The menu features BBQ, ribs, sides and drinks. Matthew also loves his Kool-Aid and plans to feature a different flavor each day along with Pepsi products. The sides are unique for a barbecue restaurant and I suggest trying the Cajun black eyed pea salad. Matthew and Jessica take great pride in cooking traditional, southern barbecue. 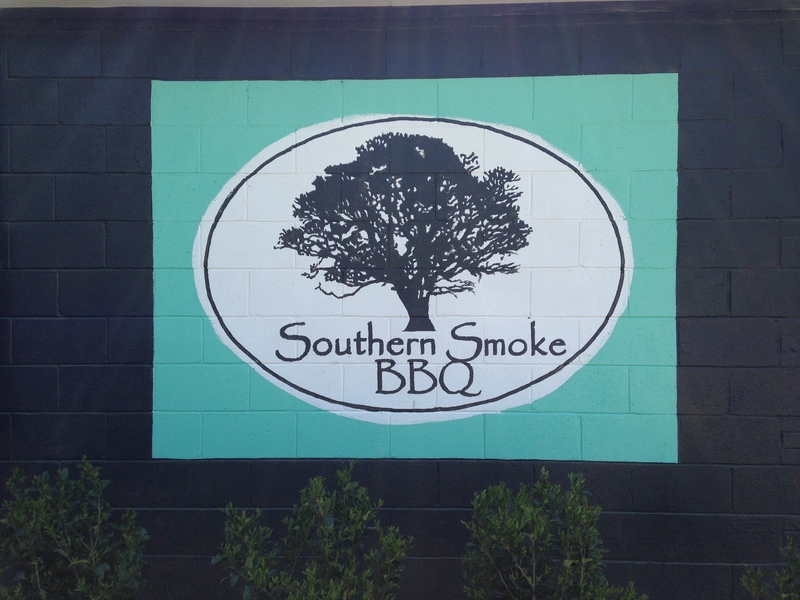 Southern Smoke BBQ is representative of their passion for good food and desire to keep family culinary traditions alive. 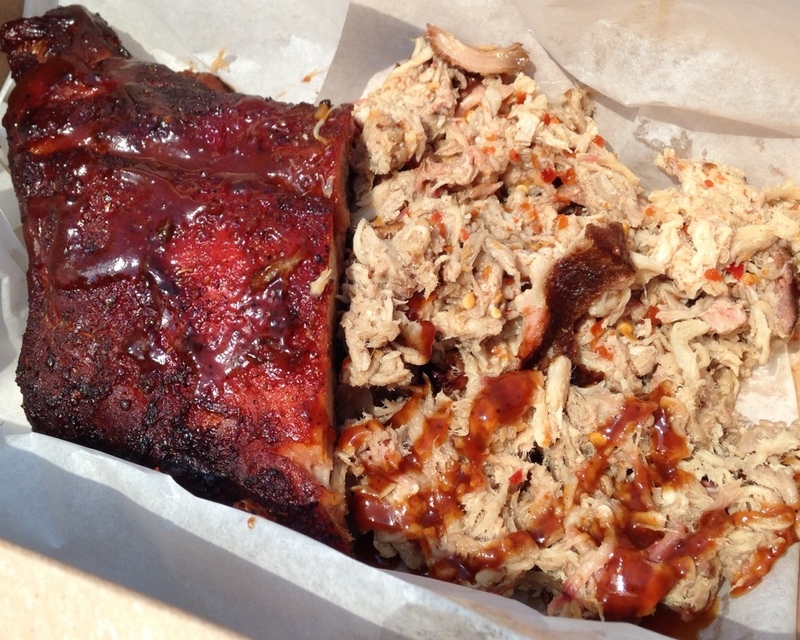 I tried Southern Smoke BBQ’s ribs and pulled pork, which were both excellent. The sweet baked beans with pork belly paired nicely with the smoky flavor of the ribs and pulled pork. Of course, you have to try both of the signature Southern Smoke BBQ sauces. 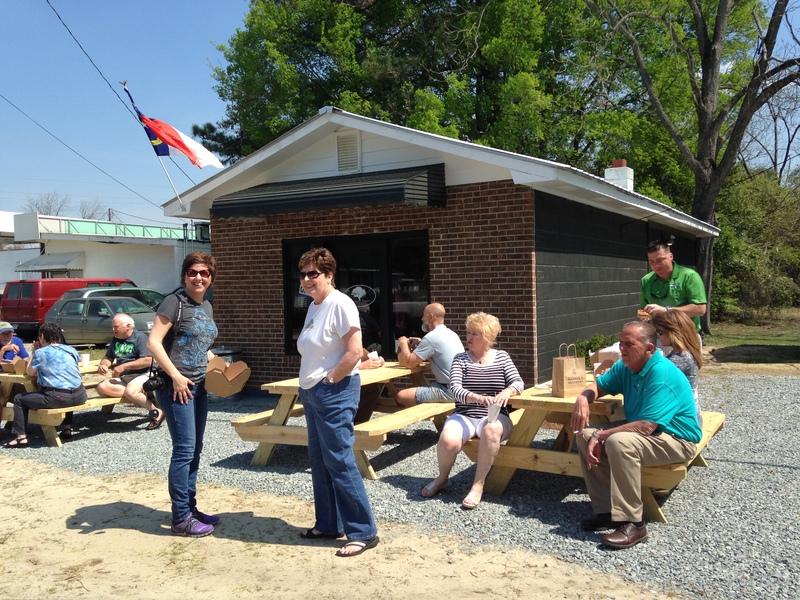 Southern Smoke BBQ is located at 29 Warren St., Garland NC 28441. Next time you have a hankering for delicious barbecue, take a trip out to visit Matthew and Jessica in Garland. This couple is supportive of their local community and I’m excited to watch Southern Smoke BBQ become a destination in eastern NC.